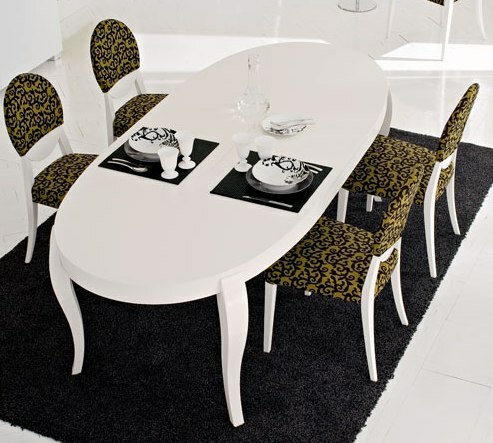 Calligaris Oval Regency dining table is beautifully crafted piece of contemporary dining furniture. It features elegant cabriole legs and a central extension. When extension is opened, legs follow the table in length and extends from 67" to 89". Regency Oval dining table seats up to six when closed and eight when opened. 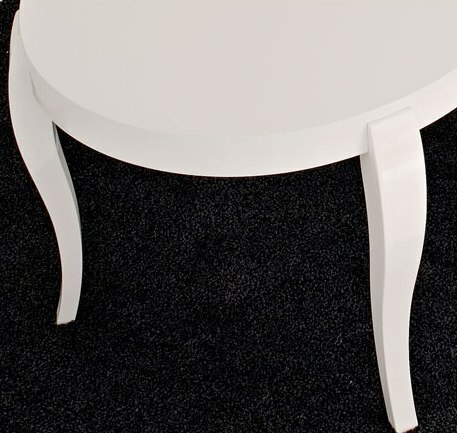 This table is available in 2 different finishes, wenge veneer and a glossy white lacquer. Extends from 67" to 89"